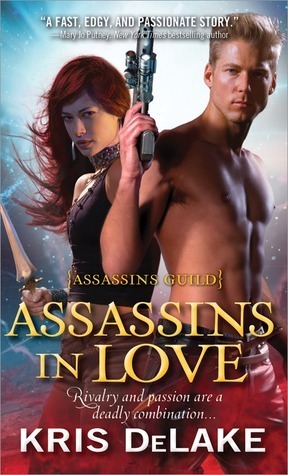 I don’t know what it is about this book, exactly, but I think it might be my favorite in the series so far. 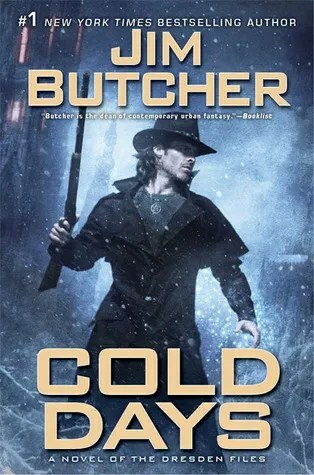 I’m giving it five stars because I really like the direction Butcher is taking this series in, and because it had all of my favorite Dresden stuff in it in a more fun way than the last two books, which were five star reads in a more intense way. The book opens with Harry being in rehab for, well, for being dead for six months. You can imagine the recovery time for that. Mab has got Harry in Winter and is nursing him back to health by trying to kill once or twice a day. Classic Mab. When he’s recovered enough to take up his duties as the Winter Knight, that’s when the fun really starts. On top of most of the sidhe being out to get him, and his friends and family being pissed he didn’t tell them he was alive sooner, Harry has 24 hours to figure out who and what are going to blow up Demonreach, the island that Harry became the magical warden of several books back. If he doesn’t stop it, the explosion is going to take most of Illinois with it and release hundreds of thousands of demonic beings into the mortal world. And he has to do it all while trying to figure out who’s good, who’s bad, and which people in either group want him dead (the answer being lots on both sides). There were so many things I liked about this book, it’s hard to list them out. I loved the whole tone of the thing, Harry having to face the challenge of coming back from the grave (so to speak — he wasn’t really technically “dead” after all), dealing with Molly and his brother (Thomas and Harry <3) and Murphy. I loved how different in structure and intent this one felt to all the others, especially the first eleven books (the last two broke the mold in their own special ways). I loved the lurk of Mab, and the uncertainty of her intentions. I loved the new fairy, who better end up being Toot’s girlfriend. I loved how the plot actually managed to surprise me, not once, but several times (a rare thing, simply because I read so much). I loved how each of Harry’s interactions with recurring characters show how far he and this series have come. 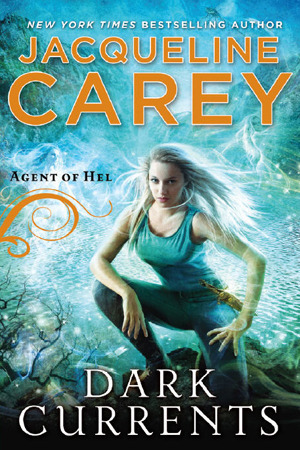 I loved Demonreach, and Harry being inexplicably naked for the entire last part of the book. And I super loved the glimpse of The Big Stakes that we and Harry get, because it sets the whole series in a new context, and hints at the future to come. The direction of the series from here on out is a complete mystery. Other than the vague hints we get (Harry and Molly working for Winter, for instance, and that giant wall of fighting fairies), Butcher’s previous rulebook just doesn’t seem to apply. There’s a lot of stuff in play right now, and it’s very exciting. Can’t wait for Skin Game to come out on 2014, and it’s been a blast catching up on this series this year. 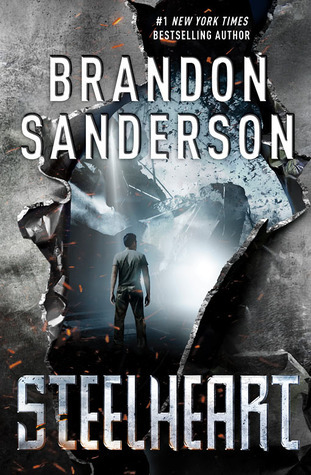 Steelheart, the first book in Sanderson’s Reckoners series, is an extremely creative take on the superhero genre. It’s been ten years since an event people have dubbed Calamity, which granted certain members of the population superpowers. These people are called Epics, and they are all of them huge dickwads: violent, egomanical, emotionally unstable, power-hungry assholes. With the appearance of the Epics, society descended into chaos. Epic after Epic took control over whole cities. The government collapsed. In some cities, Epics rule like monarchs. Such is the case with Chicago, now called Newcago, which is ruled by an Epic called Steelheart, who has the power to turn anything to steel, and is seemingly invincible. This is where our protagonist, David, comes in. David’s father was a firm believer that one day an Epic would come that would be good and kind, who would wish to help rather than hurt. David’s father is murdered by Steelheart, right in front of David’s eyes, when he was ten years old. Steelheart then demolished the bank they were in and killed everyone in it, except for David. David is now the only person alive to have seen Steelheart bleed. And he’s gone looking for a group called the Reckoners, whose sole mission is taking out Epics one by one. He knows he’s the only person alive that might be able to help them take down Steelheart, and he’s made it his life’s mission to do so. Like I said, exploring this world that Sanderson created, learning its rules, was pure pleasure. It was refreshing to read a take on superheroes that had the superheroes as the bad guys. It’s a very cynical outlook on human nature, and I found it intriguing, especially given the presence of David’s father, who believed so strongly that Epics could be good. It bodes well for future installments in the series. 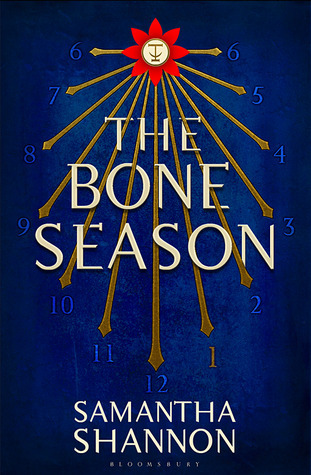 I also really liked that this book had a self-contained element to it, a beginning, middle and end. It also felt a bit like a crime/heist caper story, which was really fun. I did have some issues with it. With a couple exceptions, the characters didn’t really grab my emotions by the balls or anything. I didn’t care about most of them very much, and actively disliked the one that kept saying y’all to refer to a singular person. I know I also had some other technical issues with it, but it’s been over a months and a half since I read it, and I don’t remember what those issues were. Also of concern is the protag, David. Because he’s so driven by his mission, he doesn’t have much of an emotional arc. The focus in this book is definitely on plot and worldbuilding, and I’m hoping in future books we get a bit more characterization for him and the others. I know plot and worldbuilding are Sanderson’s strengths, but he can do characters too. I’ve seen him at it. All in all, a really fun book, and I’m confident/hopeful that the issues I had with it will be addressed in future books. And even if they’re not, I’ll probably still enjoy them. 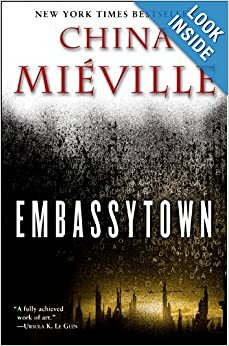 Embassytown is at the edge of the “immer”, an outpost of the Bremen empire, and at the border between the Ariekei and the humans on the planet Arieka. It is clearly science fiction, verging towards dystopian science fiction, but it’s also about colonialism, about the alien and the other, and about words and signs and truth and lies and revolutions that change the meaning of all of these. Negotiating between the Ariekei, or Hosts, who are the aliens, and the mostly-human community are the Ambassadors, who we gradually find out are sets of doubled, identical beings who speak “Language” with two voices but one brain, the only form of communication that the aliens, who are alien to the point of not even breathing oxygen–or being physically or mentally capable of lying, of saying that something is not what it is but something else–can understand. Drifting among the power structures, danger zones and levels of communication in Embassytown, is Avice, a girl who made an unusual contact with the alien race early in her life, and who becomes a Navigator in the “immer,” able to transport vessels in a nebulous, shifting space among the stars and planets that make up the universe. On one planet she finds Scile, a linguist obsessed with the Host alien language and way of communication, and brings him in her wake back to Arieka. Scile’s investigation and idealism happens to coincide with the appearance of an impossible Ambassador from Bremen, and the results are ultimately disturbing and destructive in moral and ethical as well as physical ways. Embassytown is a trippy read. A lot of it makes more sense if you’re familiar with the sign and signified and other Derridean stuff, or if you’re used to reading or watching science fiction in which obscure or made-up words describe technology, environment and aliens. It takes a while to get into, but I was gripped when I finally did. Although the novel is more about ideas than people, there is some relatable emotion and experience, particularly as events unfold, but I found it hard to get a sense of Avice and the other characters as more than ciphers. I admired it and enjoyed it as an intellectual rather than emotional or escapist read, thinking about its allusions and structures (probably because I read it two days before I had to teach it) and I’m sure I missed a lot of what was going on. It’s a dark, weird, thought-provoking novel about big questions, without any easy answers.